This cruise has already departed. 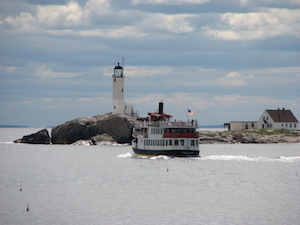 Join us aboard the M/V Thomas Laighton for one of our expertly narrated Isles of Shoals and Portsmouth Harbor tours. Experience the history and beauty of the seacoast, Portsmouth harbor and the little known, but historically crucial, Isles of Shoals.